The women from history took me by the hand and their own remarkable histories made me want to try to articulate my mother’s legacy and, in so doing, close the book on hurtful beliefs that I had held as gospel for so long. For me, it has always been about women and their stories. I just didn’t realize that one day I would be the writer of one. In midlife, a wild goose chase of sorts had taken hold of me as I strove to finally understand my glamorous, outside-the-lines mother who I’d lost more than twenty years before. As I peeled back the layers, secrets, and illusions of our relationship, I came face-to-face with some uncomfortable truths. Realizations about the two of us that turned me upside down and inside out were constantly looping in my mind. Then, I took a trip to London and found myself strolling through the National Portrait Gallery looking into the eyes of unconventional women from the eighteenth century. These ancient portraits of trailblazers and groundbreakers seemed oddly familiar, particularly one of eighteenth-century actress Mrs. Jordan, who shared my mother’s first name and her fiery nature. I circled among their portraits, reading the biographical information below each piece, enthralled by the faces and accomplishments of these women, all of whom had lived in Europe in the late 1700s. They had made remarkable strides at a time when little was expected from them; when they had few rights; when they’d had to navigate enormous cultural obstacles to achieve anything. They were novelists, playwrights, actresses, painters, musicians, and Bluestockings—all of them outliers, mavericks, and trailblazers who had accomplished much despite the restrictive rules of the day. 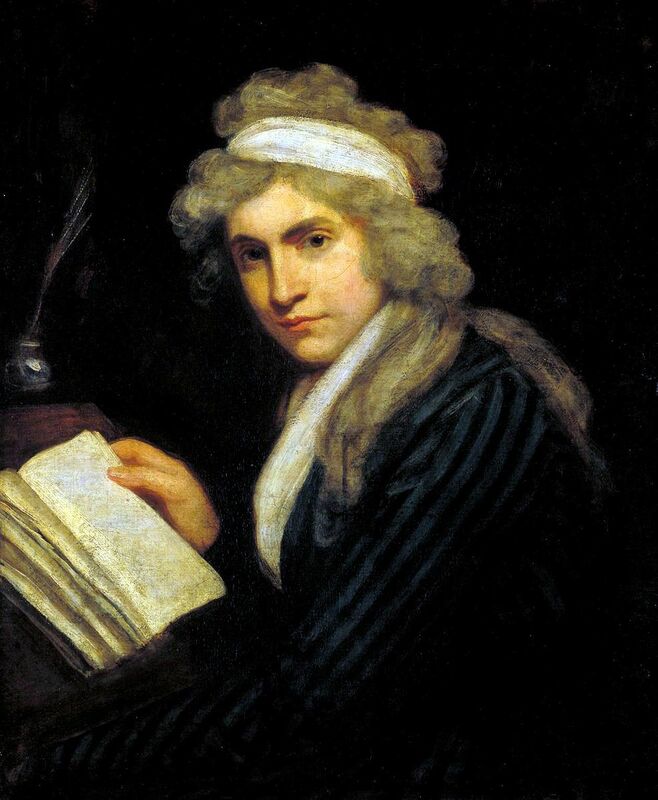 At a time when the appearance of convention was everything, nonconformists like Mary Wollstonecraft, Olympe de Gouges, Fanny Burney, Germaine de Stael, Hannah More, and Angelica Kauffmann somehow knew that forward motion required unconventionality. And they all seemed to be whispering to me: Write. Write about us. Write about your mother. When I got back to New York, I read everything I could find about them and soon realized that skirting the rules in place in order to survive and thrive—rules they didn’t make but had to live by—was the constant between all of them. Their common backbone—a shared root system that connected one to the other—gave me a new frame through which to view my mother and myself. Each one of them had had her share of illusions, dashed hopes and scandalous truths just like my mother—yet these mavericks had all managed to transform their pain into some sort of progress to pave the way for generations to come. Curiously, spending time with them began to feel like spending time with my mother. The reasoning behind their choices helped me to understand how and why my mother had managed to sculpt herself in another era so different from my own, and to see beyond how her decisions had affected me personally. Through their life stories, I gained an appreciation for the struggles these kindred spirits faced as they strove to become who they wanted to be. Their basic desires—to be fully heard and seen, to have rights, to live an independent life outside of the domestic sphere—are something that American women take for granted today—but in my mother’s day and theirs, they required nothing less than a major act of rebellion to achieve. My mother was born at the start of the Great Depression to a downtrodden mother and a bitter, alcoholic father. It was a world within which she had no control, so she created a new one—a world of her truths, her secrets, her rules, within which she was its queen. The anointed celebrity. As was the case with all of these other women from history, the limiting rules of the day and the life she had been handed simply didn’t suit my mother, and she had had to carve out her own path. These early mavericks made me newly grateful for all of my mother’s unconventionality. Even though as a child I had wished feverishly that she was more like other mothers—the ones who were present, who reminded their daughters to wear galoshes and eat vegetables—I now saw her in a new way. She had provided not only a roadmap for me but also modeled the resilience and aptitude needed to navigate life with all its hurdles. Because of her, I emerged as a strong woman as well. And from there, my memoir was born. The women from history took me by the hand and their own remarkable histories made me want to try to articulate my mother’s legacy and, in so doing, close the book on hurtful beliefs that I had held as gospel for so long. Most of all, they gave me permission to both see and admire my mother for exactly who she was—and for that, they have my eternal gratitude. Deborah Burns is the author of “Saturday’s Child,” a memoir about growing up with her unconventional mother that will be published in April 2019. Hailed as a must-read for every daughter who’s ever wondered where her mother ended and she begins, and by Kirkus Reviews as “Devilishly sharp … a masterful balance of psychological excavation and sumptuous description,” this PopSugar Top Ten 2019 debut is available for pre-order now on Amazon and everywhere books are sold.